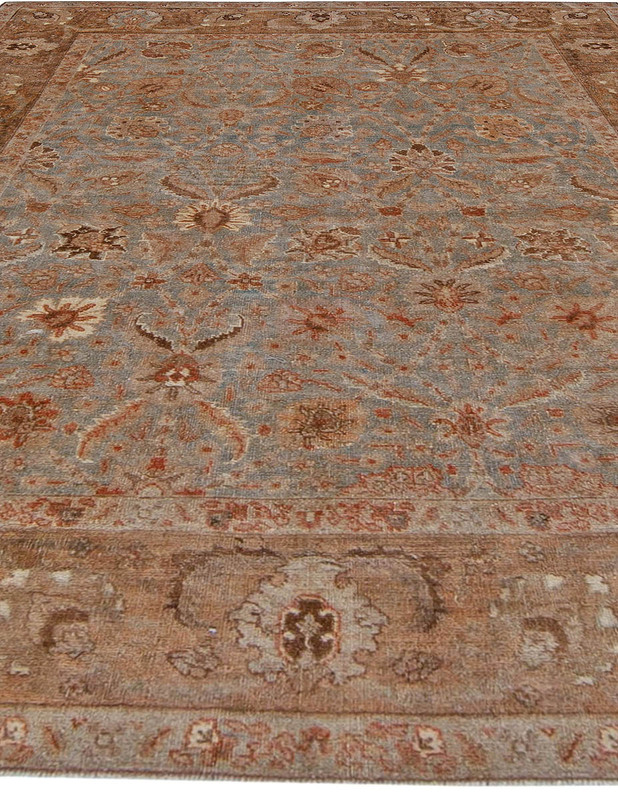 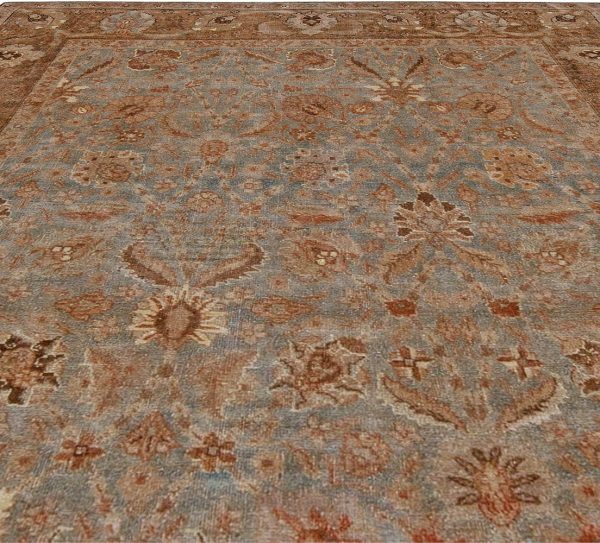 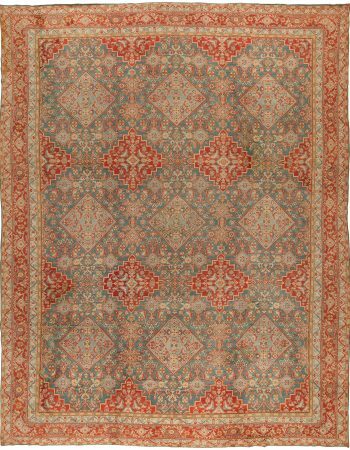 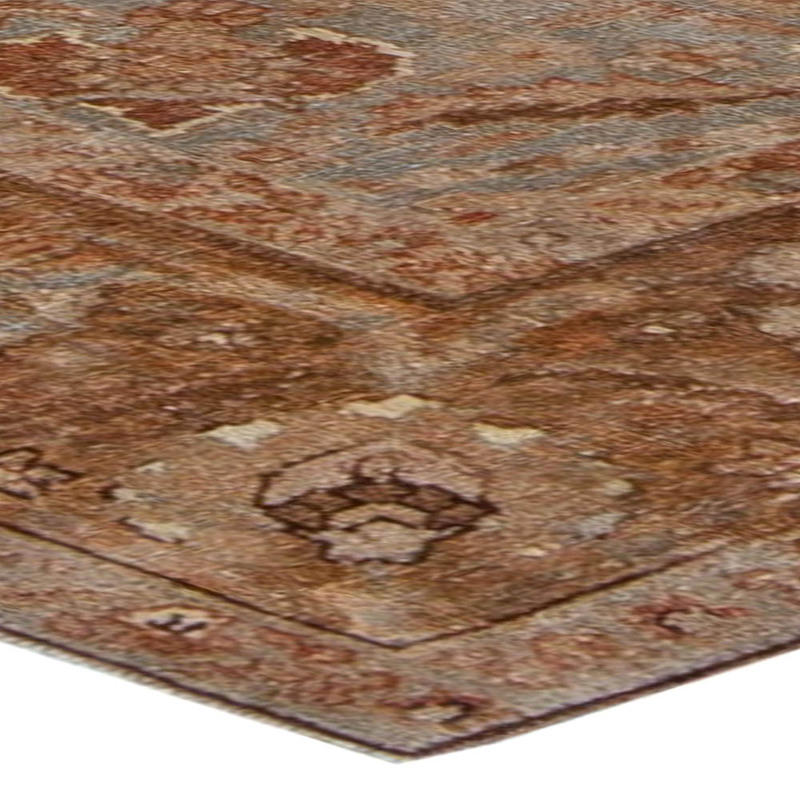 A small antique Persian Kirman rug with all over floral motifs in cinnamon, beige and brown on a light steel blue background, with wide triple border. 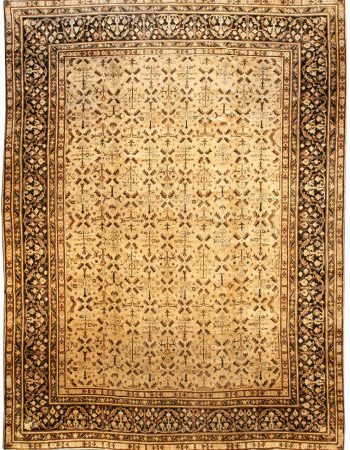 Since the thirteenth century, when Marco Polo admired their skill while traveling through South-Central Persia, the Persian carpet weavers of Kirman have been highly respected. 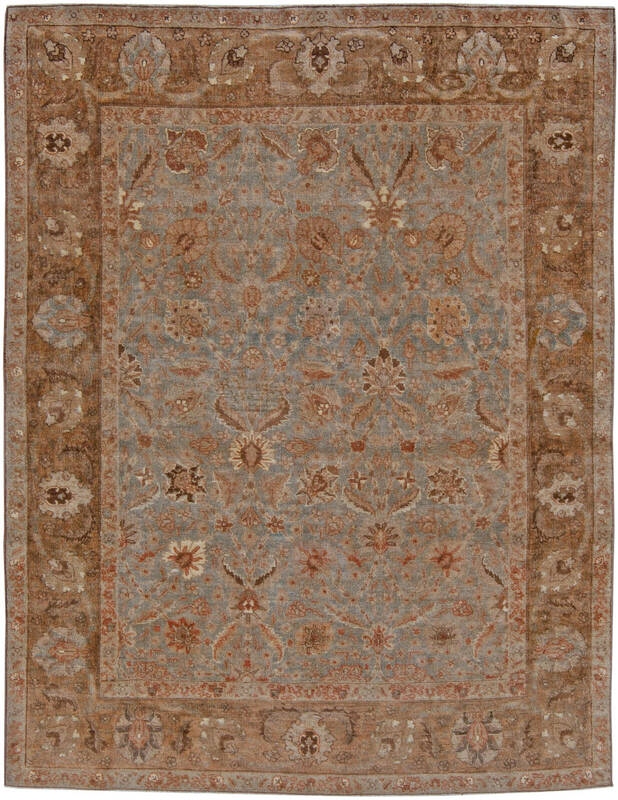 Blessed with an ample supply of very high quality local wool, known as Carmania wool, the craftsmen of Kirman have been weaving their way to the top of the carpet world by virtue of their craftsmanship, wide range of designs, broad palette of available colors, immense tensile strength, abrasion resistance, and expert color combinations. Colors can range from ivory, blue and magenta to a more golden and saffron cast. 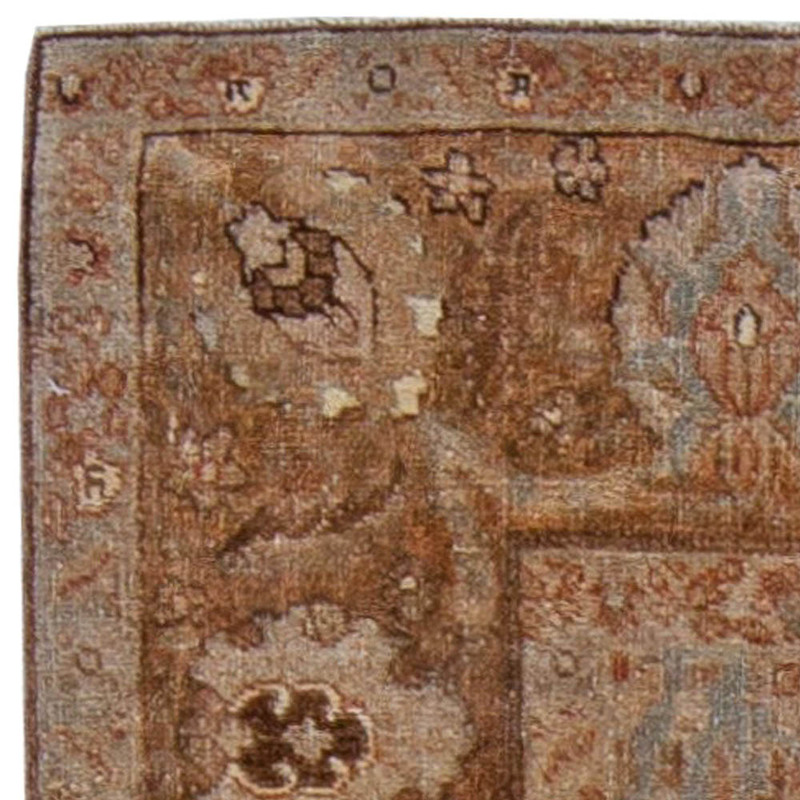 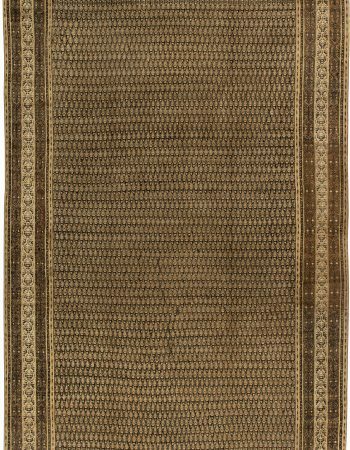 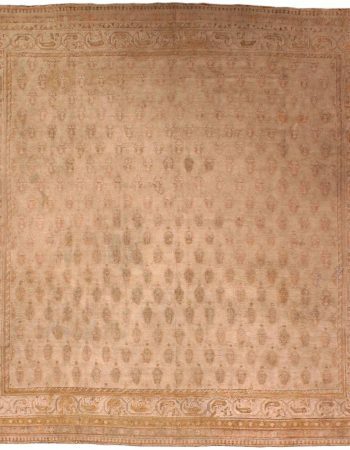 As unique as their designer, no two antique area rugs are precisely alike. Because of the tremendous demand for Kirman rugs, and because of the complex demographics of those generating the demand, a surprising variety of styles and designs were produced. While some Antique Persian rugs were woven explicitly for moneyed buyers from the West, there were also local consumers which only added to the diversity of the Kirman rugs. 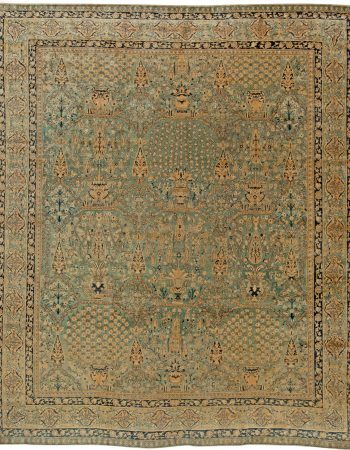 This diversity is seen in the range of motifs which can range from well-known and original Persian motifs to western motifs; striped and repetitive motifs, vase, Toranj (Citron), symmetric, garden, animal shapes, and pictorial rugs.